Adina will offer this special workshop following her presentation from 9:30-11:30 am celebrating World Tai Chi and Qigong Day in the Enchanted Forest Sanctuary. 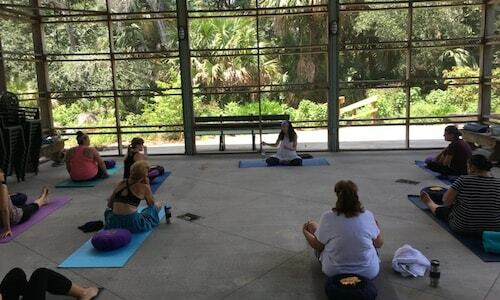 Come and share the practice of Hridaya Hatha Yoga and Meditation with the open-hearted community around Merritt Island National Wildlife Refuge and nature conservation centers on the Space Coast, at the gates of NASA’s Kennedy Space Center. This workshop is offered free by Satya Sattva Studio in Brevard County, Florida. Come practice and meditate in a beautiful open-air screened porch, overlooking nature.